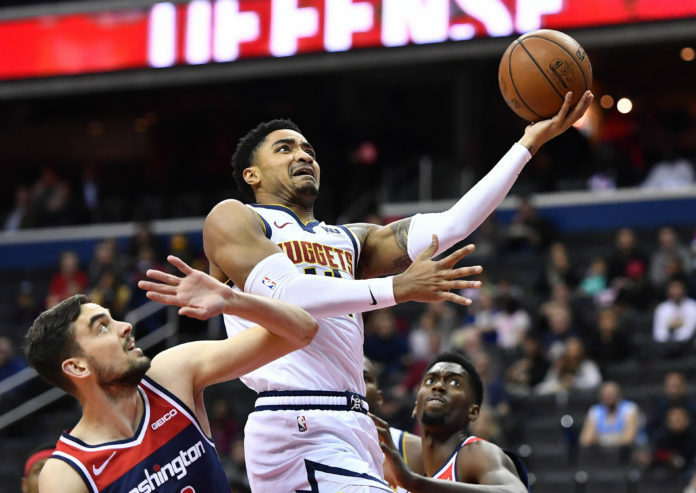 After going 3-0 on their three-game homestand and then beating the Celtics in Boston for their fourth-straight win, the Denver Nuggets took their hot streak into the capital of the United States of America looking to continue their winning ways against the Washington Wizards. Once the game ended, Denver managed to escape with a 113-108 win on the road against the Wizards thanks to a complete team effort. To begin the first quarter, Denver’s offense was stagnant which led to less than ideal shots being taken early in the shot clock. The biggest offender was none other than Gary Harris, who has been doing what he can to get himself back into a rhythm which has led to him playing with a live dribble instead of thriving off-ball like he has done for the majority of his career. While the offense was getting back into a rhythm, Denver’s defense continued to be a full-blown disaster. They allowed multiple open 3-pointers for the Wizards which resulted in easier and easier looks at the rim as the first quarter continued to progress. The main contributor of points in the paint for the Wizards was Thomas Bryant, who made all four of his shots in the first period. Thankfully, Denver’s bench showed up with a different level of defensive intensity which allowed the Nuggets to utilize a 16-6 run to retake the lead. That run allowed Denver to carry a 33-30 lead heading into the second quarter. After using a 16-6 run in the first quarter to take back the lead, Denver used another 16-6 run to finished the second quarter which helped balloon their lead to seven points as halftime arrived thanks to some hot shooting and an improved defensive urgency. Denver continued to fight there way back into a rhythm on each end of the floor and they were able to do so as halftime arrived. Denver then gave back all of the momentum they built by allowing the Wizards to peel off a 25-5 run which resulted in Denver giving away their lead entirely in the third quarter. Denver’s turnover issues reared its ugly head in that 12-minute stretch, but — just as it was all game — Denver ripped off a 10-0 run of their own to finish the third quarter tied at 85 points. Most of the fourth quarter was an absolute slugfest between both teams. 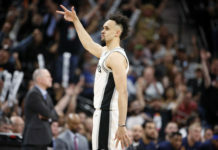 In a game that was decided by runs for the entirely of regulation, it all came down to which team would grab and hold onto momentum in the fourth and final quarter. That team was Denver; specifically their bench unit. From the start of the fourth quarter, Denver had stolen back most of the momentum available. 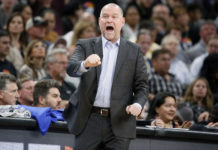 Still, Washington refused to quit and, with under a minute left in the game, Denver only had a three-point lead, but Gary Harris, who missed a free throw with eight seconds left that would have push the lead up to four points, was able to get an offensive rebound and the ability to redeem himself with two more made free throws. Those two points from the charity stripe were enough to push Denver to their fifth-straight win with a 113-108 win in Washington. By the time the final buzzer sounded, Jokic led the Nuggets with 15 points, six rebounds, and 11 assists. In addition to Jokic’s production, seven other Nuggets scored in double digits with five different players scoring 15 points or more. Next, the Nuggets will have a quick turnaround. 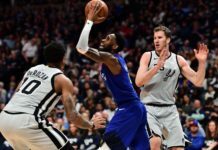 They will immediately leave Washington D.C. to head to the big apple to take on the New York Knicks for the second game of the back to back. That game will tip off 5:30pm MST.